Although it’s possible to participate in legal Maine sports betting, there are things that you should know about before looking for places to place your sports bets. One of the key things to remember is that land-based sports betting is not yet legal or regulated. That means if you go to one of Maine’s very few casinos, there will be no sportsbooks available for you to make your sports bets. Also, the state does not have any apps or websites for you to go online and place sports bets either. Although it is possible that Maine could introduce a bill in the future for legal sports betting, outside of traveling to another state, locals don’t have anywhere to go for sports betting. The good news is that it is still possible to participate in legal Maine sports betting. The best way for people in Maine to enjoy sports betting is to go online to one of our suggested offshore websites. Although there are states close to Maine where you could travel to do some land-based sports betting, it’s not as easy as going online. Once bills are passed, land-based sports betting in Maine will be much easier to do. As you will see as you continue to learn more, Maine is rather gambling-friendly towards sports bettors. This is a good indicator that legal and regulated Maine sports betting will be coming in the near future. 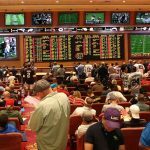 Is Land-Based Sports Betting Legal In Maine? Unfortunately, land-based sports betting is not legal yet in Maine. You can still enjoy legal Maine sports betting at home or wherever you feel comfortable, that is due to the fact you can visit offshore websites for sports betting. These websites are not located in the United States and are outside of its jurisdiction. Right now, if someone were to build a website that would accept sports bets, they would most likely be breaking the law. But there is hope for land-based sports betting in Maine. 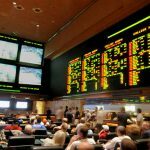 There are no restrictions in place preventing the Pine Tree State from creating laws that would allow for land-based sports betting to become legal. It’s entirely possible that there could be a new bill introduced in the near future that would allow land-based sports betting to become legal in Maine. Is It Illegal To Bet On Sports Online In Maine? There are no laws restricting bettors from Maine from enjoying online sports betting. The offshore sites we recommend are outside of US jurisdiction and are heavily regulated by the country that they are based in. The rules of the US and Maine does not restrict from its citizens to use these websites. What it does regulate is what can be done within state borders. 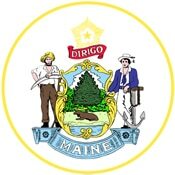 Although Maine laws do not mention online gambling, it is still not legal to create an online gambling website within Maine. Also, these rules usually are restricted to those who would open sportsbooks online, not the bettors themselves. So to be a part of legal Maine sports betting can go online right now and access an offshore site and know you are doing so legally. Is There Anywhere In Maine That I Can I Bet On Sports? Current laws make it so that there isn’t anywhere in Maine that you can bet on sports. None of the casinos have sportsbooks available. The bright side is that you don’t have to travel to do your sports betting. The best spot for legal Maine sports betting is from anywhere that you have WiFi or internet. 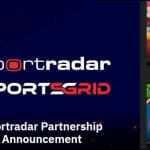 Sites like BetDSI or BookMaker.eu bring sports betting opportunities straight to your desktop. If you are not home, you can still access these websites on your smart device and take the sports betting action wherever you go. Thanks to that, sports betting can take place everywhere in Maine. Overall, Maine has a fair amount of gambling available in the state. 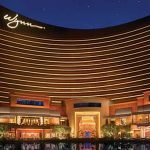 Although there are very few locations, you can take part in table games, poker, and slots in these few locations. There is also a harness race track available for bettors to go to. Unfortunately, none of these locations has legal Maine sports betting ready. What needs to happen for Maine to begin opening sportsbooks is that there need to be laws passed. As of right now, there has not been a bill introduced into the state’s legislature. However, there are rumors that there will be a bill introduced very soon. Since Maine seems to be kind towards gambling overall, there is little reason to doubt that sports betting will become legal in Maine within the near future. Although Maine does not have any professional teams specific to itself that do not mean they aren’t huge sports fans. All of Maine can get behind their division I team and cheer for their region’s team in the NFL. Although they have a couple of good teams to cheer for, locals in Maine can bet on any team they want. They just have to go online to one of our recommended offshore sites and pick whatever team or game they want to bet on. Maine does indeed have a horse track for bettors to go bet the ponies – Scarborough Downs. Although locals from Maine can go to the track, it is far more convenient to take out your mobile device and going online to an online horse racing site. Both straight and exotic wagers are accepted at horse racing betting sites, with betting odds on races like the Kentucky Derby, Dubai World Cup, and Travers Stakes. The best sites for Maine horseplayers to visit for betting the ponies are 5Dimes and SportsBetting. Daily fantasy sports (DFS) is increasing in popularity in the United States and that is no exception in Maine. On August 2nd, 2017, Maine passed bill ME L 1329 which allowed Maine to legalize and regulate DFS. Thanks to this bill, DFS is thriving in Maine. Locals can join sites like DraftKings and FanDuel to play fantasy contests. These two are the behemoths of DFS and offer a large array of contests to play, such as basketball, baseball, and football. Players can end up winning large amounts of money through DFS high stake public tournaments. Best of all, players from Maine can play with other players at their skill level so they have a better chance of winning cash prizes. Can I Bet Real Money On Sports In Maine? Using real money is the best way for you to take part in legal Maine sports betting. If you go online to one of our recommended offshore sites, you can bet and win real money online. All bettors need to do is go online, create an account, use your credit or debit card to place a bet and if they win, accept a wire transfer or take your winnings through the mail. Is Online Sports Betting Safe In Maine? Since there are no rules or regulations preventing you from placing sports bets online, you can rest assured that online sports betting is safe in Maine. Offshore sports betting sites are regulated to make sure your data is safe and secure. They haven’t had a security breach to date. If you still have your doubts about placing sports bets online, you can set up a VPN and use bitcoin to further protect your data. Will Sports Betting In Maine Ever Be Legal? There is a good chance that legal Maine sports betting will happen in the future. If rumors are true, there are members of Maine’s state legislature that are drafting up a bill that will make sports betting legal. If a bill is introduced, given how generous Maine’s gambling laws are, there is no reason for it to not be passed. We believe that sports betting in Maine will be legal in the near future. Will I Get Arrested For Sports Betting In Maine? Even with states with very conservative laws against gambling in general, you are unlikely to get arrested for sports betting in Maine. The only way for you to participate in legal Maine sports betting is to go to a reputable online sportsbook and place your bets there. Maine doesn’t have jurisdiction over these websites and they wouldn’t prosecute bettors for using the website anyway. If you are still worried about the unlikely case that you could be arrested, you can set up a VPN and use bitcoin to eliminate your paper trail. What Is the Sports Betting Age In Maine? The general gambling laws in Maine state that you have to be 21 to go to the casinos and play slots. Although there might be some exceptions to the rule, the safest way to make sure you don’t get into trouble is you abide by the gambling age laws. The offshore sites we recommend allow for you to use their sportsbooks at 18 if the state also allows you to gamble at 18. Since Maine does not, you have to wait until you are 21 to use these sites. Do not ever lie about your age when you go to these sites, you can lose any potential winning or get permanently banned from the website. Are There Mobile Sports Betting Apps Available In Maine? Even though they are not state regulated, there are mobile sports betting apps available in Maine and they are provided by the leading online sportsbooks. If you go to an offshore website using your mobile device, the website becomes optimized for whatever device you are using. All of the services you enjoy on a computer are available for you to use on your mobile devices. Where Is The Best Place To Bet On Sports In Maine? Due to the fact that there are no sportsbooks opened in Maine, the best place to enjoy legal Maine sports betting is in the at home at your own convenience. If you use industry leaders Bovada, SportsBetting, BetOnline, or 5Dimes, they will provide you with the best online sports betting experience, making your home the best place to place to bet on sports in Maine. Should I Use A Local Bookie In Maine? You should never ever use a local bookie in Maine. First of all, you don’t know if you are going to get honest odds by using a bookie and most importantly, it’s illegal. You are likely to get caught using a bookie and if you do, the legal troubles will cost more than any winnings you could have won. Trust us and take the safer option by going online and using an offshore website instead. Do Any Casinos In Maine Have Sports Betting? As of right now, casinos in Maine do not have sports betting. Sports betting is not yet legal in Maine so casinos are not allowed to open sportsbooks. 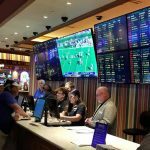 If a bill is drafted up, brought to state Congress, and it passes then it is likely that Maine’s casinos will be the first locations you will see sportsbooks being opened. Until then, you can enjoy sports betting online using one of our recommended offshore sites. Is It Legal To Bet On Sports With My Friends In Maine? There doesn’t seem to be any real restrictions against social gambling in Maine. The only real restriction is Title 17-A Chapter 39 §952 which states that “those who engages in “bookmaking” is not a player” and they would be in violation of the law. So long as no one is ranking profits by hosting the event, social gambling is perfectly legal. This is another way for you to enjoy legal Maine sports betting. If no one is bookmaking and everyone is having fun, social gambling is perfectly legal.